Spiritual growth is an unbelievable experience which has the ability to change your life forever. As a young child, my abilities as a clairvoyant and medium w﻿ere identified, and it became clear my path was to help others awaken their spiritual connections. I have spent over 35 years helping others find peace in their lives, answering their deepest questions and lending a guiding hand through their challenges. 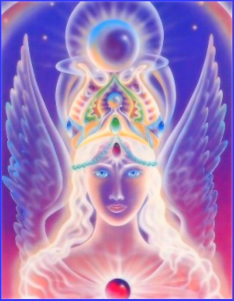 My mission and purpose through my services is to awaken each one of my client's spiritual power and guide them through recognizing their own unique abilities and gifts. Through my many years in working as a Healing Master, I have come to believe we all have the ability to answer our own calling and learn to embody who we truly are. Learning to recognize your own abilities and utilizing them, growing your spirit and stretching your soul, will give you an energy and passion for life that you have never experienced before. My services provide you with the ability to open doorways connecting you to the Divine Source, bringing balance and harmony to your life. This is what makes me different from other psychic or spiritual teachers you may have experienced in the past. My purpose is to help awaken your spiritual connections and build confidence in your own gifts and abilities. I will help guide you through learning how to trust yourself and your own spiritual intuitiveness, empowering you to become a balanced true self. Your journeys with me will be empowering as we build your confidence and independence, lessening your need for co-dependence. My goal is to empower your future, allowing you to live with the knowledge, peace and harmony needed to walk as your true self throughout your many journeys ahead. As we have transitioned into the 2012 year, we have also experienced a shift into the fifth dimension. With this dimension upon us, you will find the veils lifting, making our ability to connect with Spirit stronger. This is the time for us all to awaken our gifts and remember who we are and live to all we can be...Whether you are looking for Psychic Services, Connections With Loved Ones Who Have Past, Holistic Therapies, Reiki or Spiritual Guidance, I am honored to be of service to you and eager to help you recognize your own spiritual powers. Please contact me with any questions you may have regarding my services and how I may help your life's journey to become a balanced walk with your true self.